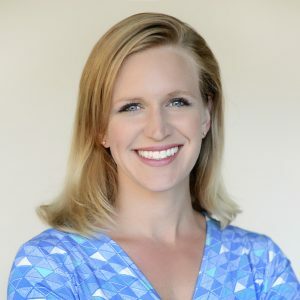 My Strength is My Story with Amy Blankson, The Future of Happiness: 5 Modern Strategies for Balancing Productivity and Well-Being in the Digital Era. Technology is improving your productivity, but what is it doing for your life? Where do you find the balance in this digital era? Amy Blankson: A wife of 15 years and a mother of three adorable daughters. Amy is the co-founder of GoodThink, a global positive psychology consulting firm. She is the only person to be named a Point of Light by two presidents, (President George H.W. Bush and President Bill Clinton), for creating a movement to activate positive culture change. She received her BA from Harvard and her MBA from Yale School of Management. Most recently, Amy was a featured professor in Oprah’s Happiness course. She has also written an award-winning children’s book. 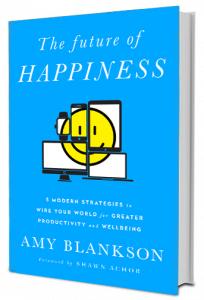 Her latest book is The Future of Happiness: 5 Modern Strategies for Balancing Productivity and Well-Being in the Digital Era. Enjoy the multitude of topics discussed including happiness, gadgets and wearables, along with positive psychology and depression! You’ll discover many strategies and tools for your success in using technology. How do we find personal happiness?